Members attending the 6 January 2018 winter talk were fortunate to hear Geoff Redwood’s presentation on the work of the charity Bees Abroad. Geoff is the Chair of Farnham Beekeepers and works with Bees Abroad as a volunteer. The charity was formed in 1999 and aims to provide training and education in beekeeping skills in developing countries. Projects are primarily undertaken in Africa but work has been undertaken in other areas including Nepal and South America. Projects are designed to be appropriate to the locality, and to enable beekeepers to become self-sufficient. Together with local NGOs, the charity works with new beekeepers to develop skills such as hive building, apiary set-up, extraction, wax processing and the development of business cases to sell products. Hive building and apiary set-up is in line with tradition and local practice. Training presents the additional challenge of dealing with the highly defensive African honeybee and for a host of predators unfamiliar to beekeepers in the UK, including honey badgers, snakes and reptiles. 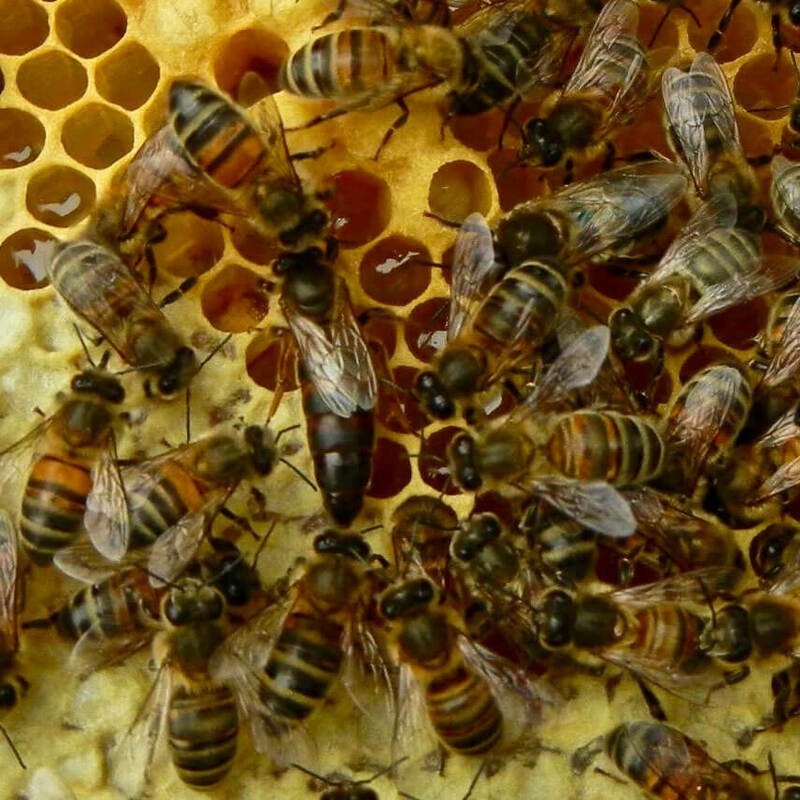 Colonies tend to be smaller and may swarm five or six times a year. Varroa and disease is therefore less of a problem but honey yield may be smaller. For more information or to support the charity, please see the charity’s website www.beesabroad.co.uk, or email info@beesabroad.co.uk.